BedRug Tailgate Protector 2019-up RAM Truck BedRug Tailgate Protector 2019-up RAM Truck, BedRug Tailgate Cover 2019-up RAM Truck, Tailgate Protector 2019-up RAM Truck, Tailgate Cover 2019-up RAM Truck, BedRug BMT02TG Tailgate Cover, [BedRug BMT02TG Tailgate Cover] - $54.95 : 3rd Strike Performance, Your Source for Late Model MOPAR Performance Parts and Accessories! 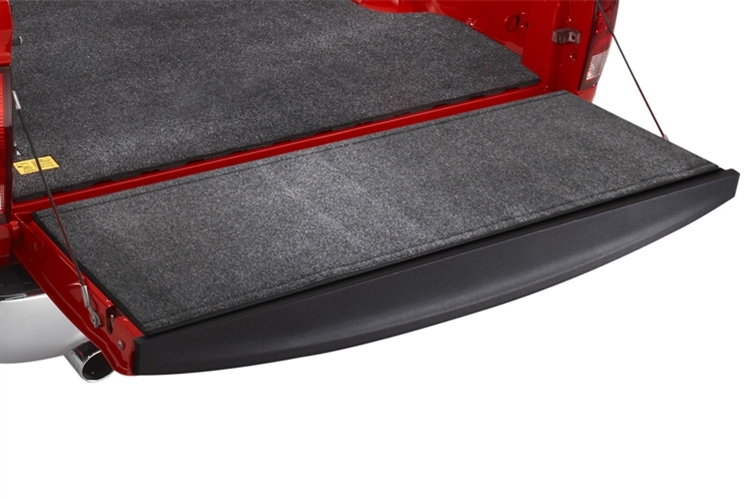 For peerless tailgate protection and soft, cushioned comfort, the BedRug Tailgate Mat is the perfect choice for any Ram. The BedRug tailgate mat is crafted with ultra-strong polypropylene, this mat guards against costly impact damage, even from heavy cargo like cinder blocks. With a closed cell foam core that won't absorb liquids, gas, oil, bleach and even battery acid easily wash off. While the BedRug Tailgate Mat is one of the toughest around, it provides the comfort of a cushioned carpet, keeping your knees and feet comfortable through heavy loads. Using hook and loop fasteners, this mat installs in only minutes. After application, its firm bond combines with the non-skid, non-slip surface to protect against painful loading accidents. Since this BedRug mat won't mold, mildew, or corrode, it will last years through even the toughest conditions. If your daily life involves strenuous loading and hauling, you need a tailgate mat with superior protection as well as continuous comfort. The BedRug Tailgate Mat is built to endure even the hardest working conditions without losing its durability or style.